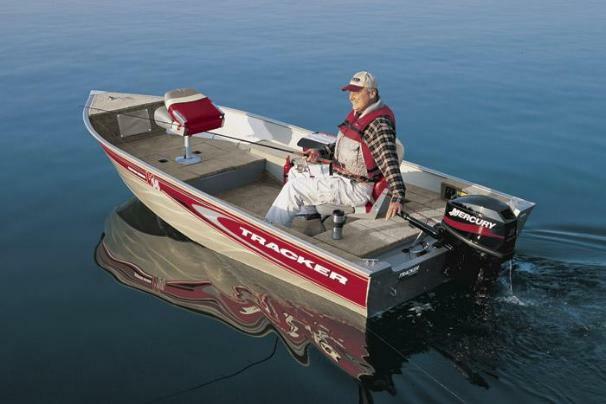 Boat Description The tiller-controlled Super Guide V-14 T DLX comes as a rugged, easy-to-own, no-nonsense Deep V boat packageideal for casual fishing in smaller bodies of water. Its 14-foot length and rugged Deep V construction hold a lot of value for first-time boaters and those who simply want a compact, stable, easy-to-handle fishing boat. Complete with raised fishing platforms fore and aft, two movable post-mounted seats and ample storage in the bow and along the sides, the value is remarkable. Package includes Mercury Pro Series outboard, 9-gallon livewell plus custom trailer with EZ lube hubs and GalvaShield protection. Dry Weight 640 lb approx.